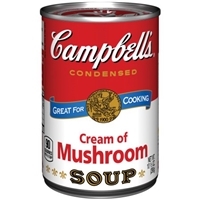 Brand/Manufacturer: Campbell's Campbell Soup Co.
Tomato puree (water, tomato paste), cream, diced tomatoes in tomato juice, sugar, skim milk, modified food starch, contains less than 2% of: butter (cream), cream (dried), salt, wheat flour, onions (dried), extra virgin olive oil, flavoring, whey protein concentrate, citric acid, basil, tomatoes (dried), spices, sunflower lecithin, sunflower oil, yeast extract.do not reuse or reheat bowl. Bowl and soup are hot after heating. Do not purchase if open or punctured. 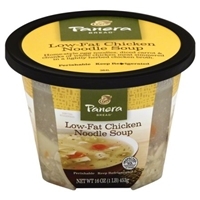 Chicken stock, modified food starch, chicken fat, wheat flour, chicken meat, cream (milk), contains less than 2% of: salt, vegetable oil, whey (dehydrated), soy protein concentrate, monosodium glutamate, yeast extract, mechanically separated chicken (dehydrated), flavoring, vegetable oil, beta carotene for color, sodium phosphate, soy protein isolate, chicken flavor, chicken (dehydrated), celery extract, onion extract, butter (cream, annatto).do not purchase if tab is lifted. Caution: metal edges are sharp. Recommend use by date on can end. Promptly refrigerate unused soup in separate container. 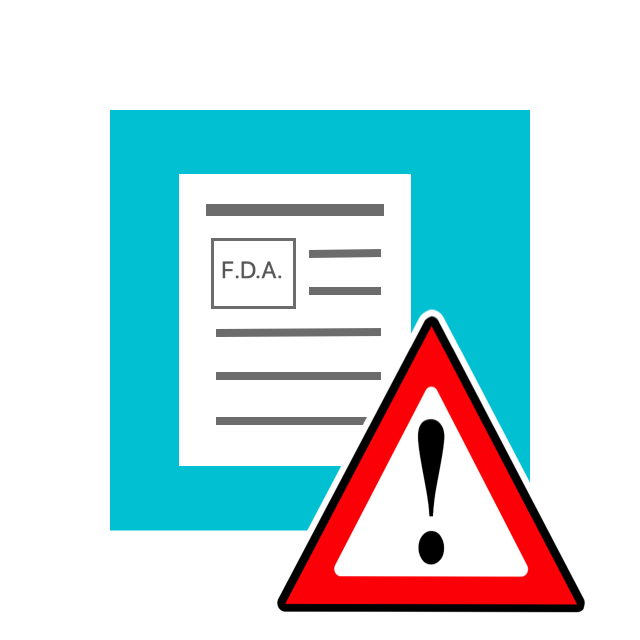 Water, mushrooms, vegetable oil (corn, cottonseed, canola, and/or soybean), modified food starch, wheat flour, contains less than 2% of: salt, cream (milk), whey (dehydrated), soy protein concentrate, monosodium glutamate, yeast extract, flavoring, garlic (dehydrated).do not purchase if tab is lifted. Caution: metal edges are sharp. Recommend use by date on can end. Promptly refrigerate unused soup in separate container. 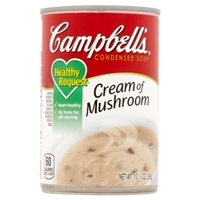 Water, mushrooms, modified food starch, wheat flour, contains less than 2% of: vegetable oil (corn, cottonseed, canola, and/or soybean), cream (milk), sugar, salt, potassium chloride, flavoring, soy protein concentrate, calcium carbonate, yeast extract, disodium guanylate, disodium inosinate, lactic acid, mixed triglycerides, spice, dehydrated mushrooms, garlic extract.do not purchase if tab is lifted. Chicken stock, chicken meat, great northern beans, carrots, diced tomatoes in tomato juice, celery, spinach, tomato puree (water, tomato paste), contains less than 2% of: modified food starch, salt, asiago cheese (milk, cultures, salt, enzymes), onions (dried), extra virgin olive oil, parmesan cheese (part-skim milk, cultures, salt, enzymes), potato starch, sugar, garlic (dried), spice, potatoes (dried), carrageenan, cornstarch, chicken broth (dried), chicken fat, flavoring, whey (milk), ascorbic acid for flavor, eggs.contains traces of wheat. 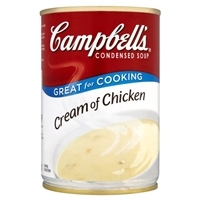 Chicken stock, water, modified food starch, wheat flour, chicken meat, cream (milk), contains less than 2% of: vegetable oil, carrot juice concentrate, salt, potassium chloride, flavoring, soy protein concentrate, dehydrated mechanically separated chicken, yeast extract, chicken fat, disodium guanylate, disodium inosinate, spice, beta carotene for color, sodium phosphate, soy protein isolate, mixed triglycerides, lactic acid, celery extract, dehydrated chicken, onion extract.caution: metal edges are sharp. Recommend use by date on can end. 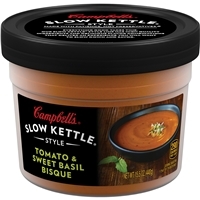 Promptly refrigerate unused soup in separate container. 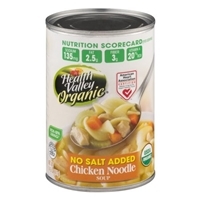 Chicken stock, white chicken meat, carrots, enriched egg noodles (wheat flour, egg whites, eggs, niacin, ferrous sulfate, thiamine mononitrate, riboflavin, folic acid), celery, contains less than 2% of: salt, onions (dried), chicken fat, chicken flavor (enzyme modified chicken, chicken broth, whey [dried] [milk], autolyzed yeast extract, chicken fat, egg yolks [dried], salt), potato starch, xanthan gum, sugar, carrot juice concentrate, spice, flavoring, carrageenan, locust bean gum, garlic (dried), turmeric for color, celery extract, onion extract.do not purchase if opened or punctures. 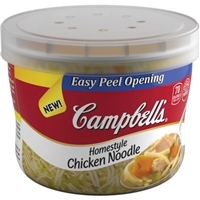 Filtered water, organic carrots, organic celery, organic dark meat chicken, organic noodles (organic wheat flour, organic whole eggs, organic egg whites), organic rice starch, flavors (contains yeast extract), organic acacia gum, organic onion powder, organic garlic granules, organic spices, organic tumeric for color.contains: eggs and wheat. 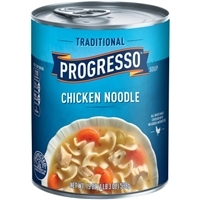 Brand/Manufacturer: Progresso General Mills, Inc.
Chicken broth, carrots, cooked white chicken meat, egg noodles (semolina wheat, wheat flour, egg [dried]), celery. Contains less than 2% of: water, modified food starch, salt, chicken fat, corn protein (hydrolyzed), egg white (dried), potassium chloride, carrot puree, soy protein isolate, onion powder, sugar, maltodextrin, sodium phosphate, yeast extract, garlic powder, chives (dried), spice, egg yolk (dried), beta carotene (color).contains wheat, egg and soy ingredients. Edges of lid will be sharp when opened. 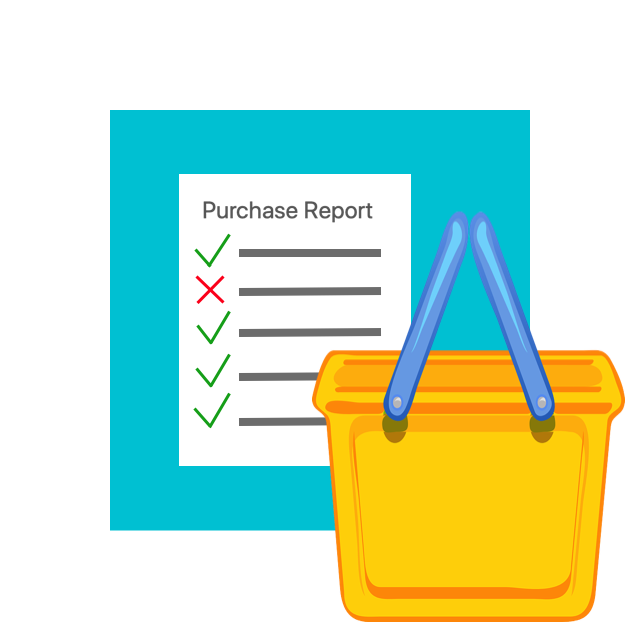 Do not use if tab is lifted. 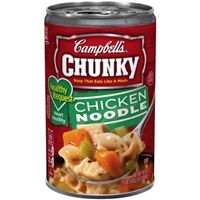 Chicken stock, enriched egg noodles (wheat flour, eggs, niacin, ferrous sulfate, thiamine mononitrate, riboflavin, folic acid), chicken meat, contains less than 2% of: salt, chicken fat, water, monosodium glutamate, cornstarch, modified food starch, flavoring, dehydrated chicken broth, sugar, sodium phosphate, soy protein isolate, dehydrated onions, yeast extract, beta carotene for color, dehydrated chicken.do not purchase if tab is lifted. 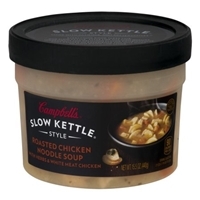 Chicken stock, enriched egg noodles (wheat flour, egg whites, eggs, niacin, ferrous sulfate, thiamine mononitrate, riboflavin, folic acid), chicken meat, contains less than 2% of: modified food starch, carrots, salt, chicken fat, water, celery, monosodium glutamate, yeast extract, onions (dehydrated), vegetable oil, spice, beta carotene for color, soy protein isolate, sodium phosphate, garlic (dehydrated), flavoring, chicken (dehydrated).do not use if broken or torn. 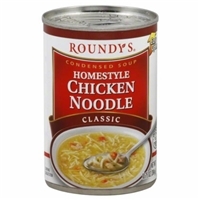 Water, chicken stock, carrots, white chicken meat, enriched egg noodles (wheat flour, egg whites, eggs, niacin, ferrous sulfate, thiamine mononitrate, riboflavin, folic acid), celery, contains less than 2% of: modified food starch, chicken fat, potassium chloride, yeast extract, salt, flavoring, sugar, carrageenan, potato starch, vegetable oil, dehydrated chicken broth, canola oil, spice, lower sodium natural sea salt, dehydrated onions, beta carotene for color, disodium inosinate and disodium guanylate.do not use if tab is lifted. Brand/Manufacturer: Nissin Nissin Foods Co Inc.
Enriched flour (wheat flour, niacin, reduced iron, thiamine mononitrate, riboflavin, folic acid), palm oil, salt, palm olein, contains less than 2% of textured soy protein, dried cabbage flake, onion powder, shallot, dried green onion, dried corn, spice and color, monosodium glutamate, glucose, lemongrass, coconut palm sap powder, soy sauce (soybean, wheat, salt, water), powdered chicken, dried red bell pepper, hydrolyzed corn protein, garlic powder, garlic, sugar, lime juice, dried parsley cubic acid, lactose, soy lecithin, dehydrated chicken stock, rendered chicken fat sodium phosphate, autolyzed yeast extract, sodium diacetate, sodium tripolyphosphate, hydrolyzed soy protein, calcium silicate, xanthan gum, natural and artificial flavor, disodium guanylate, disodium inosinate, tbhq (preservative), polyglycerol esters of fatty acids, tocopherol (preservative), beta carotene color, egg white, potassium carbonate, sodium carbonate, sodium alginate, sodium benzoate (preservative).contains wheat, soybean, egg, milk, and coconut. 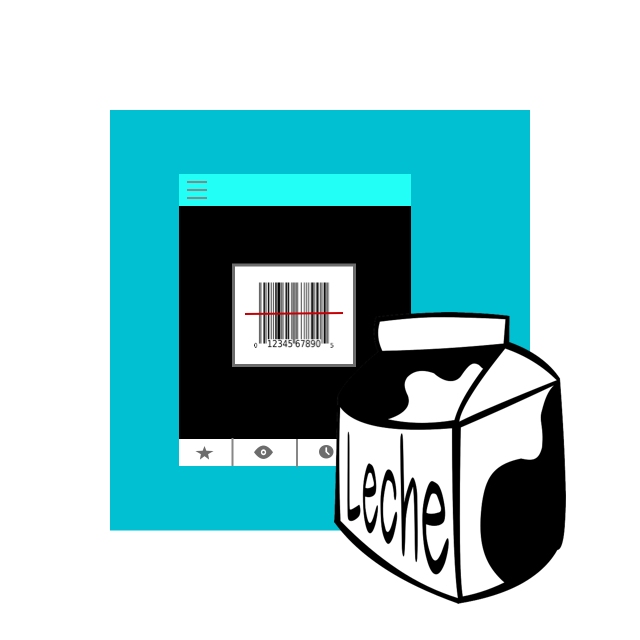 Manufactured in a facility that also processes peanut, tree nuts, crustacean shellfish, and fish products. 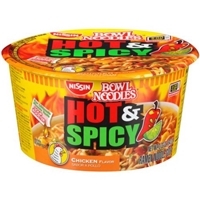 Caution: product and container may be very hot. Handle with care. Never microwave without water in container. Do not leave microwave unattended while cooking. 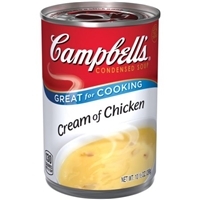 Chicken broth, water, chicken (chicken, chicken broth, rice starch, salt), carrots, pasta (wheat, eggs, egg whites, niacin, ferrous sulfate, thiamin mononitrate, riboflavin, folic acid), onions, celery, contains 2% or less of: sea salt, sugar, natural chicken flavor (chicken fat, natural flavoring), modified food starch, soybean oil, seasoning (yeast extract, maltodextrin, salt), acacia & xanthan gum, thyme, parsley, onion powder, nisin preparation and spice.contains: wheat and egg. 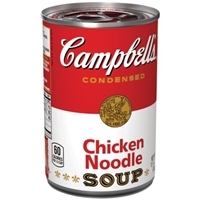 Chicken broth, enriched egg noodles (wheat flour, water, whole egg, egg white, niacin, ferrous sulfate [iron], thiamine mononitrate, riboflavin, folic acid), chicken meat (cooked chicken meat, water, modified food starch, salt, sodium phosphate), contains less than 2% of the following ingredients: salt, carrots, chicken fat, modified food starch, monosodium glutamate, celery, autolyzed yeast, maltodextrin, corn syrup solids, natural flavoring, onion powder, beta carotene (for color), dehydrated parsley, garlic powder.contains: wheat, egg.